Are you activating the Word of God in your prayers? "For as the rain comes down, and the snow from heaven, and do not return there, but water the earth, and make it bring forth and bud, that it may give seed to the sower and bread to the eater, So shall my word be that goes forth from My mouth; it shall not return to Me void, but it shall accomplish what I please, and it shall prosper in the thing for which I sent it (Isaiah 55:10,11). 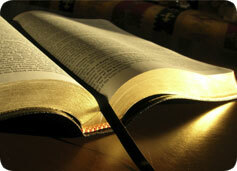 The Word of God is so alive and powerful it has the ability to return to the Father with fullness. This verse says it will not return void (empty or ineffectual). How does the Word return to the Father in heaven? We can send it back to the throne in our prayers and positive confessions. In our meditations and ponderings over scripture, we are activating the presence of God over situations, places, and things.